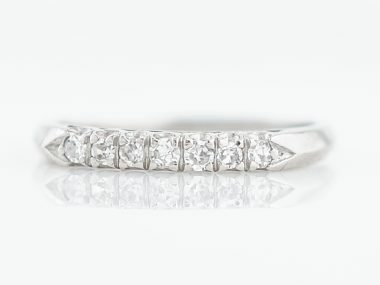 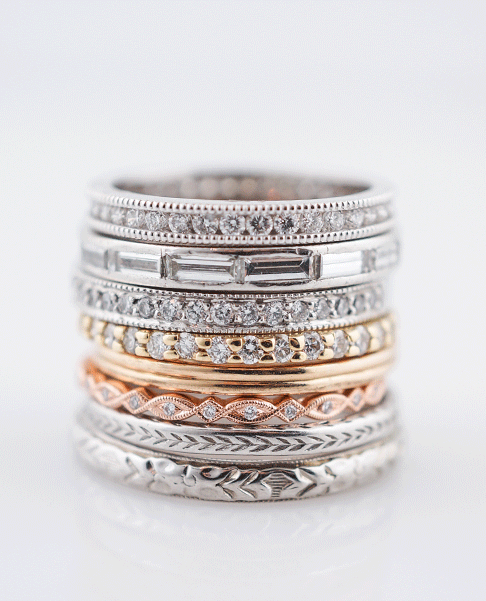 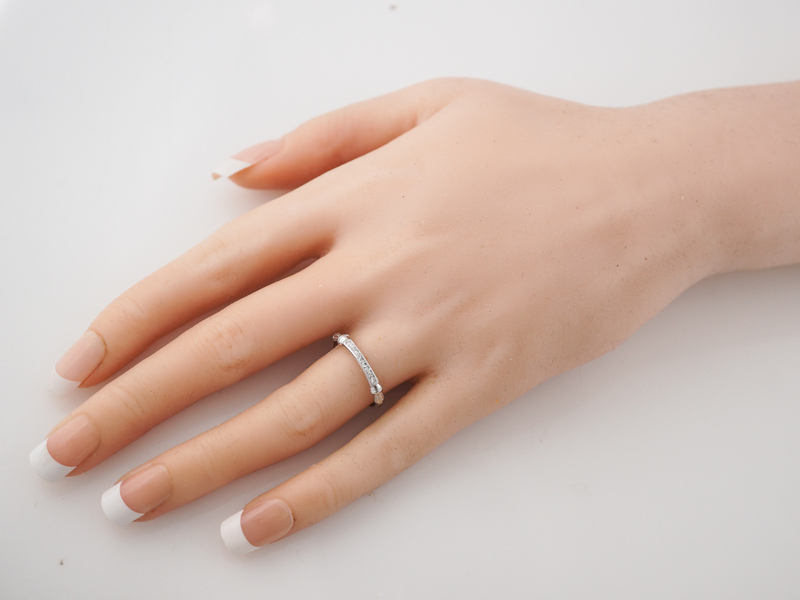 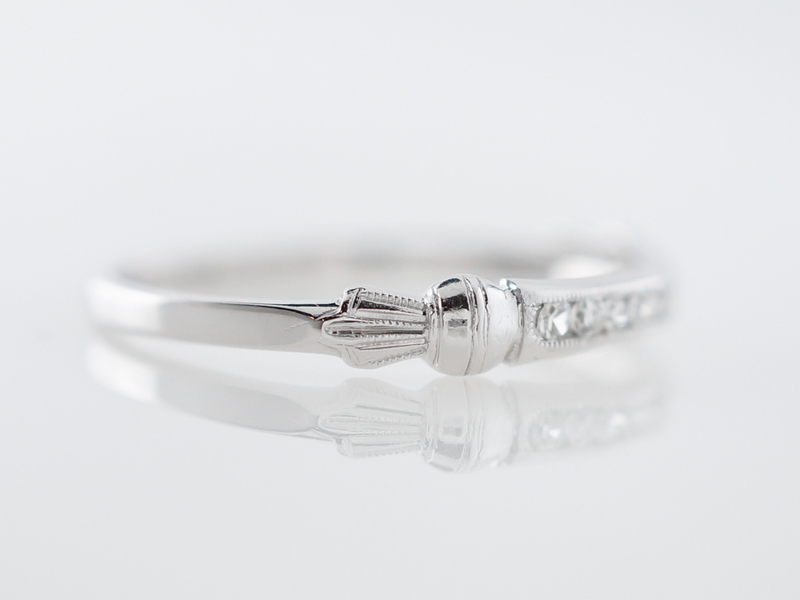 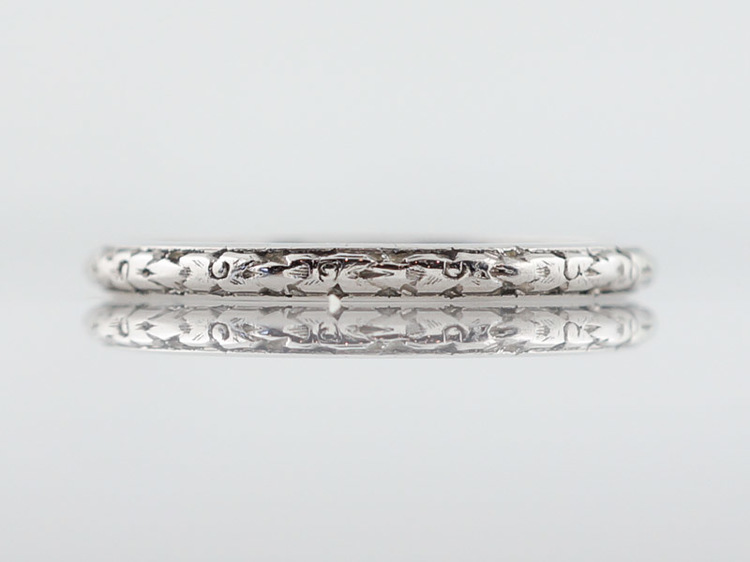 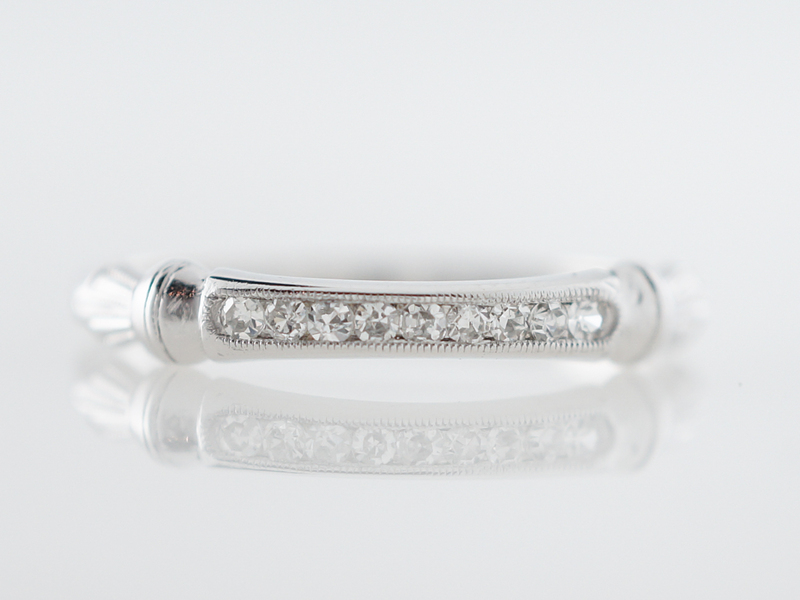 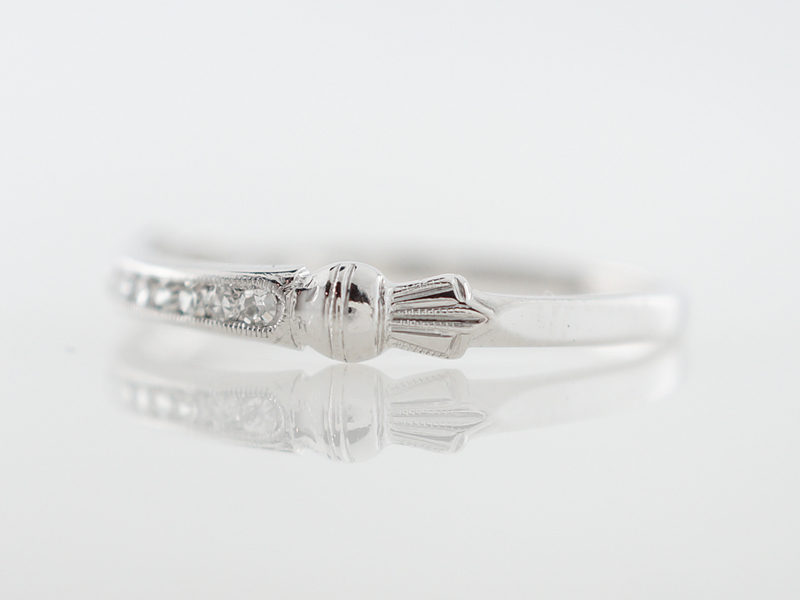 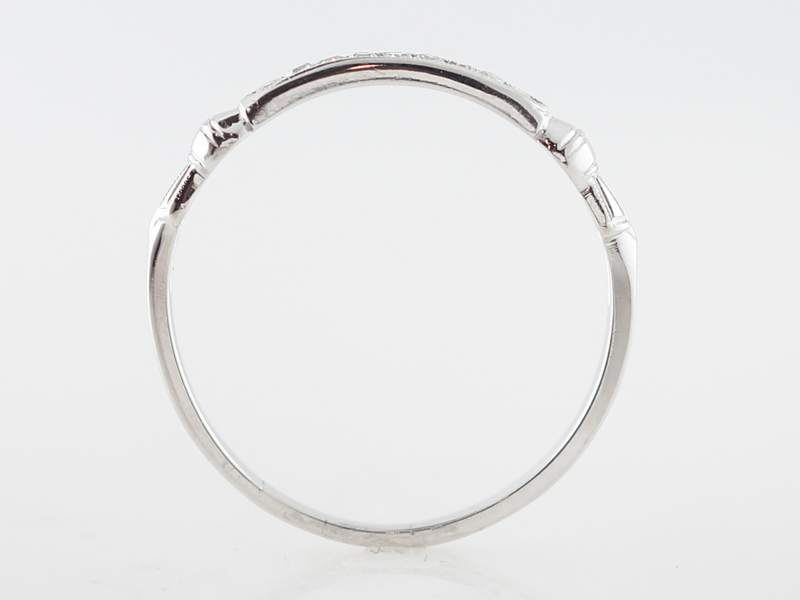 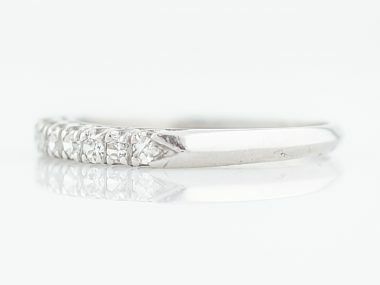 This original vintage art deco wedding band features .14 carats of single cut diamonds. 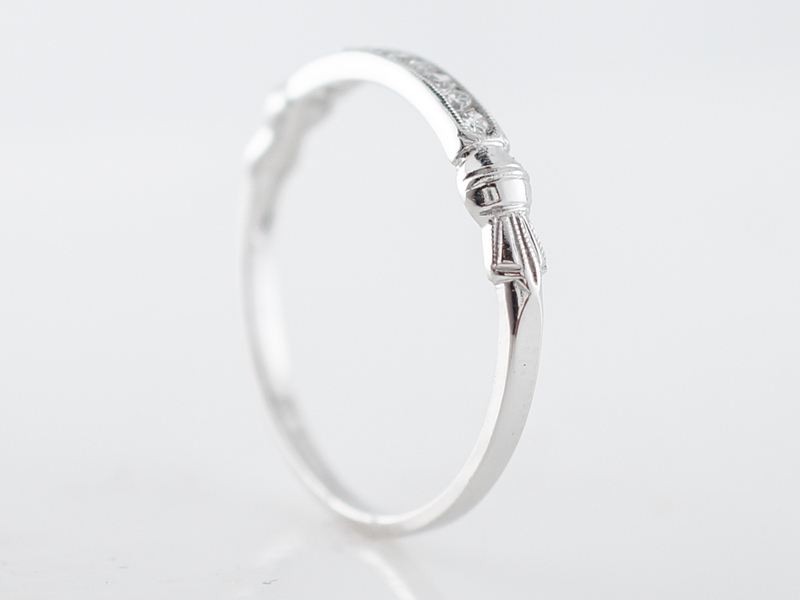 Finished in 18k white gold, the shoulders of the ring have a faint fleur de lis style metal work that adds a unique touch. 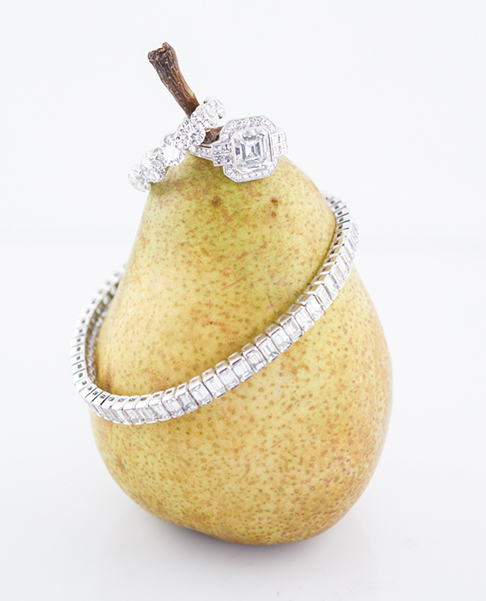 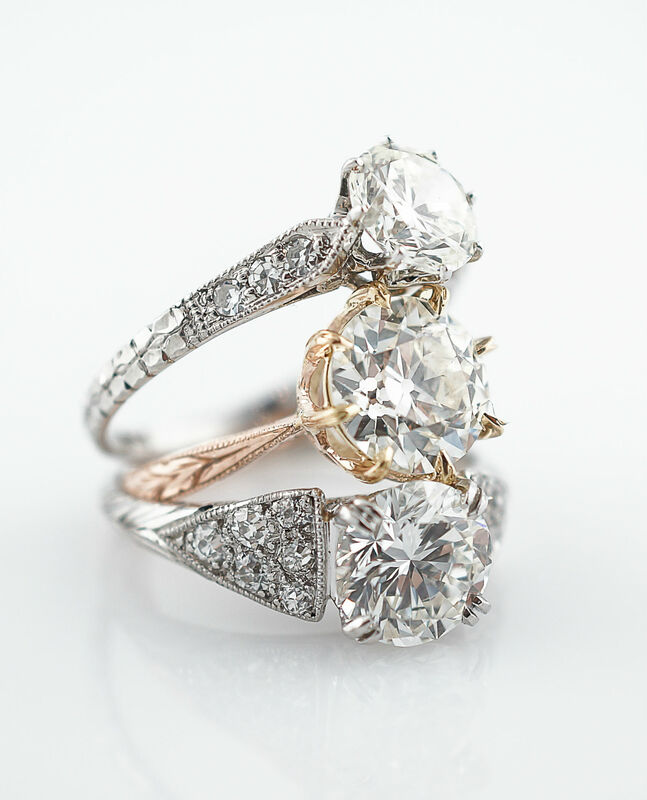 A perfect compliment for a vintage engagement ring!